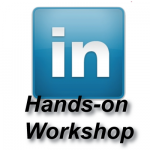 Join the June 16 LinkedIn workshop to learn how to warm-up cold leads! Do you need some updates to your LinkedIn profile? Everyone needs to spend a few minutes on social media a few times a day. Does that include your LinkedIn profile? You bet it does. Making tweaks and knowing the right updates to make will help you show up better in search results. Do you need to learn how to warm up cold leads? Have a meeting coming up with someone you have never met? Trying to find some potential clients? Find out more about the power of LinkedIn to help you find and warm-up leads. This hands-on LinkedIn workshop is the place you want to be to help you use LinkedIn better. We will go over your profile to help you establish the best use of keywords to be found, how to invite new connections, how to track connections using the CRM function in LinkedIn, and how to use the search features in LinkedIn to your business’ benefit. When: June 16, 2015 8:30AM to NOON Includes continental breakfast. Type in your name, select Buy Now You will be taken to Paypal to register. Have a meeting coming up with someone you have never met? Trying to find some potential clients? Find out more about the power of LinkedIn to help you find and warm-up leads. 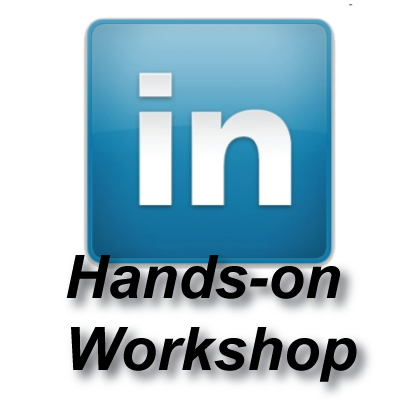 This hands-on LinkedIn workshop is the place you want to be to help you use LinkedIn better. We will go over your profile to help you establish the best use of keywords to be found, how to invite new connections, how to track connections using the CRM function in LinkedIn, and how to use the search features in LinkedIn to your business’ benefit. When: January 29, 2014 8AM-to 11AM Includes continental breakfast. What: Bring your laptop. This is limited to the first 20 people who sign-up. How: Sign-up by linking here – if you sign up by December 31, you will save $5 on the $30 registration fee. Click here to sign up! Select the workshop option that applys, enter your name and you will be taken to PayPal, where you can pay by credit card or PayPal. 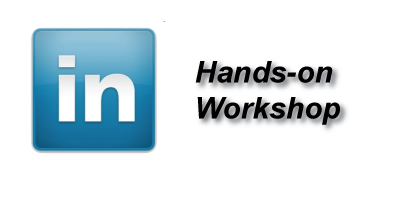 Take some time to participate in the Hands-on LinkedIn Workshop! When was the last time you spent any time on your LinkedIn profile? There have been a number of changes recently. Take this time to help yourself better understand a few things to make LinkedIn work better for your business. give you direction on how to warm-up cold leads. Enter your name under the LinkedIn Workshop option. Click pay now, use either PayPal or a credit card to register. Sorry No Refunds on registration. Thanks to T.G. Consultants who will be sponsoring the breakfast goodies! If you have ever wanted to learn the power of LinkedIn you have two options coming up. This Free one hour webinar will be packed with information on how to maximize your personal LinkedIn profile. It is sponsored by Illinois workNet. Register here. This hands-on workshop will teach you how to optimize your profile, use the best functions of LinkedIn and show you how to develop your company profile. Come armed with a laptop, images (you will receive dimensions after you complete the registration) and you imagination. Continental breakfast will be provided. Check-in begins at 7:30AM. $30 per person – Register here Only $25 with the Early Bird discount until March 20.